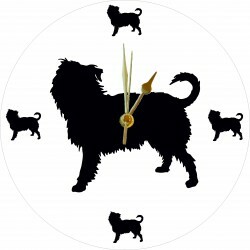 Acrylic clock with Affenpinscher cut out and small Affenpinscher cut-outs at 12, 3, 6 and 9. 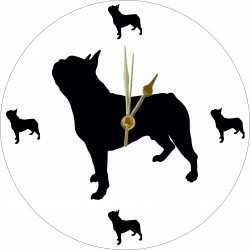 Available with a black background and white face or white background with black face. 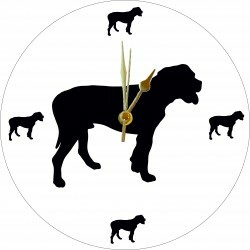 Each clock is 250mm diameter and 6mm thick. 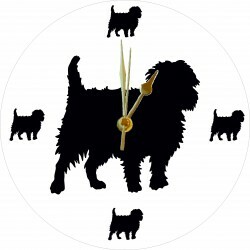 Lovely unique item ideal for any home or a gift. Each item comes with a protective film that needs to be removed before use. 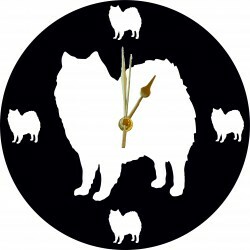 Acrylic clock with American Eskimo cut out and small American Eskimo cut-outs at 12, 3, 6 and 9. 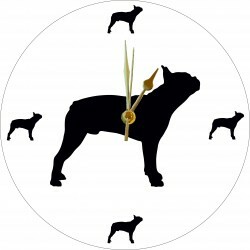 Available with a black background and white face or white background with black face. 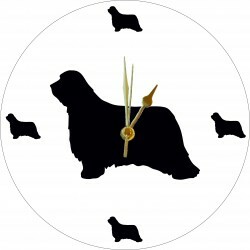 Each clock is 250mm diameter and 6mm thick. 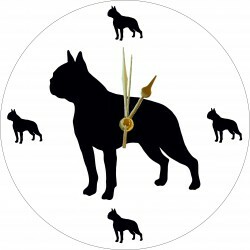 Lovely unique item ideal for any home or a gift. Each item comes with a protective film that needs to be removed before use. 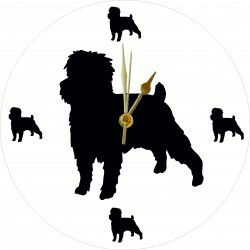 Acrylic clock with Bichon Frise cut out and small Bichon Frise cut-outs at 12, 3, 6 and 9. 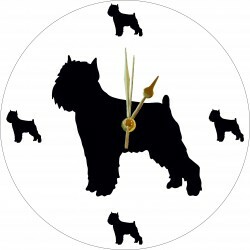 Available with a black background and white face or white background with black face. 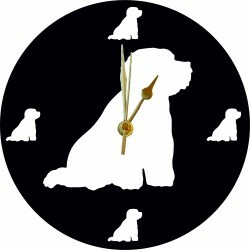 Each clock is 250mm diameter and 6mm thick. Lovely unique item ideal for any home or a gift. Each item comes with a protective film that needs to be removed before use.